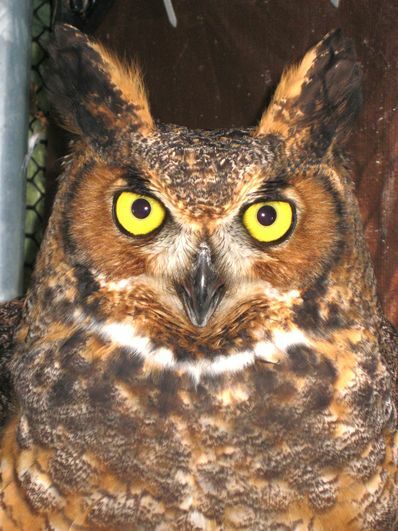 R2 is a male Great-Horned Owl from Ohio. He has a shattered right wing from being struck by a car years ago. He is intimidating and powerful, but is a great program bird and often a show favorite. R2 is probably the most popular raptor in our aviary and is considered the symbol for the Falconers of Falling Creek Camp program.